At Ridgeview Family Dental, patients of all ages can seek professional treatment with a dedicated professional ready and willing to provide dental care. Dr. R. McKell Young and his team encourage patients to take great pride in maintaining the health and beauty of their smile with preventative care. Many patients who do not maintain regular appointments with their dental team are not actively participating in their oral health and wellness. Preventative dentistry is so important to reduce and even eliminate the risks of poor oral health such as tooth decay and periodontal disease. When patients take a “reactive” approach to their oral health, they may experience more problems and more expenses when they are taking care of problems in the later stages. Fortunately, patients who take a “proactive” approach to their oral health will spend less over the course of the lifetime and will have a better chance of living their life with their natural teeth in place. What preventative services are available at Ridgeview Family Dental? 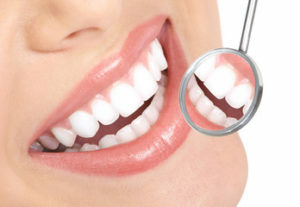 • Cleanings – patients can have our dental hygienists thoroughly clean the teeth and gums to remove plaque, tartar, calcium deposits, and bacteria to ensure a healthy smile. • Examinations – physical examinations and examinations including x-rays are often done routinely to check for the signs of decay or disease that may negatively affect one’s smile, and should be done at least every six months. • Fillings – if areas of decay are found, it is essential that patients get fillings as soon as possible to stop the decay from getting worse and requiring more extensive and invasive procedures such as root canal therapy. Contact Ridgeview Family Dental in the areas of Windsor, Oak Grove, and Warrensburg, MO today to discuss the ways in which you can maintain your healthy, beautiful smile for life with preventative services from Dr. R. McKell Young. With three convenient locations, patients in the surrounding communities will have access to comprehensive dental care by calling (660) 747-9117 to schedule their consultation visits.